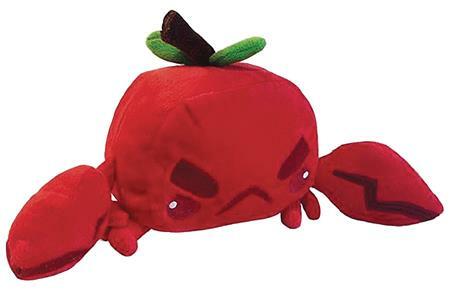 Meet Crabapple and all its cousins Lemon Crab, Lime Crab, and Orange Crab in fun designer plush toy form! Each crab plush measures 5-inch tall and 14-inch from claw to claw and is made out of minky fabric with embroidered details. They are kid-safe and machine washable on gentle cycle. Keep them out of the dryer, though. Crabs don't like when things are too toasty!